Updated on 2017-03-20 – Parents today have a lot to worry about when it comes to the safety of their children, and what’s more, kids always seem to be on the Internet, the very place where threats are lurking in the shadows. We came up with this post to give you an idea on what’s available out there right now to make it a bit safer for your kids to browse the Web. There are plenty of apps and gadgets available to make your kids’ browsing a bit safer, however we concentrated on a few that were getting extremely high ratings from parents. So if you are still interested in getting Internet safety tips for kids, keep reading! One way for parents to keep a close eye on their kids and remain in control over the potential threats, is by downloading the app called K9 Web Protection. This is an application which enables parents to monitor the way in which the Internet is used on a variety of devices, making it the perfect solution for households where there is no end to the number of electronics. 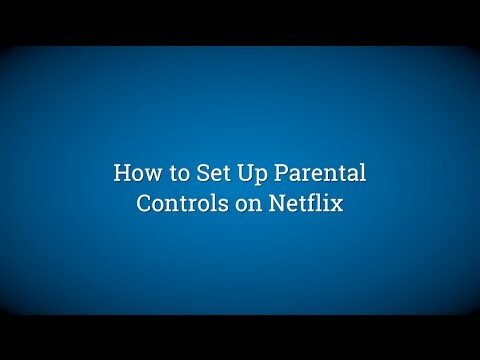 This parental control application allows parents to view the history of the Internet usage on all devices from your personal computer. You have the freedom to control access times to the Internet as well as block individual sites. In order to protect children from sites that you have not been able to block specifically, you can also take advantage of the filter feature which allows you to restrict access to any websites that match up to certain URL keywords. One of the most unique aspects to this application is that when someone tries to look at a website which has been blocked, you are given a sound alert so that you know as soon as it takes place. If your child attempts to access the same blocked site multiple times, their Internet access will be automatically shut down for a certain period of time. The second way for parents to keep tabs on their children and the Internet is through the parental control application for Windows 8 called Family Safety. This application allows you to create different accounts for each of your children on the same device and from there, you have the freedom to establish restrictions for each account including application restrictions, time restrictions, and web-filtering. If you own a hybrid device which uses the Windows 8 platform, you can check the Internet usage of your children from anywhere! CyberPatrol is a third option, one which enables parents to block websites that they don’t want their kids accessing. This goes one step further though by allowing you to keep track of the goings-on of your Internet connection with age specific restrictions based on age and maturity level for each of your children. This enables you to avoid the issue of all-encompassing restrictions for multiple children of multiple ages. This application allows you to filter things beyond the basic pornographic material and even includes hateful speech and violent content to protect the growing minds of your children. Another popular choice is MinorMonitor. This application is for PC’s and Macs and can protect children from social media dangers, specifically on Facebook and Twitter. You can monitor when your child adds someone new, with whom they have no mutual connections. You can also keep track of children’s shared photos, private messages, activities, and status updates. We hope that you found these Internet safety tips for kids useful. Have you tried any? What did you think of them? We’d love to hear from you, so please use the comment form below and leave us your feedback. Before you leave, have a look at our Shop page for interesting gift ideas for kids. Until next time! Cool Toys and Gadget is a participant in the Amazon Services LLC Associates Program, an affiliate advertising program designed to provide a means for sites to earn advertising fees by advertising and linking to amazon.com.